We are the Munda household, surrounded by little more than two hectares of land with more than 450 olive trees of 10 different varieties, situated on the Liminjan hill. Those olives are used for the making of extra virgin olive oil grown on integrated manufacturing land with all the necessary certificates. The variety of olive trees spaces from Belica, Leccino, Piranian Buga, Pendolino, Črnica, Frantoio, Maurino and others. Besides the making of extra virgin olive oil, we also have olives for pickling like the Piranian “curved” olive (štorta), Santa Caterina and Ascolano tenero. 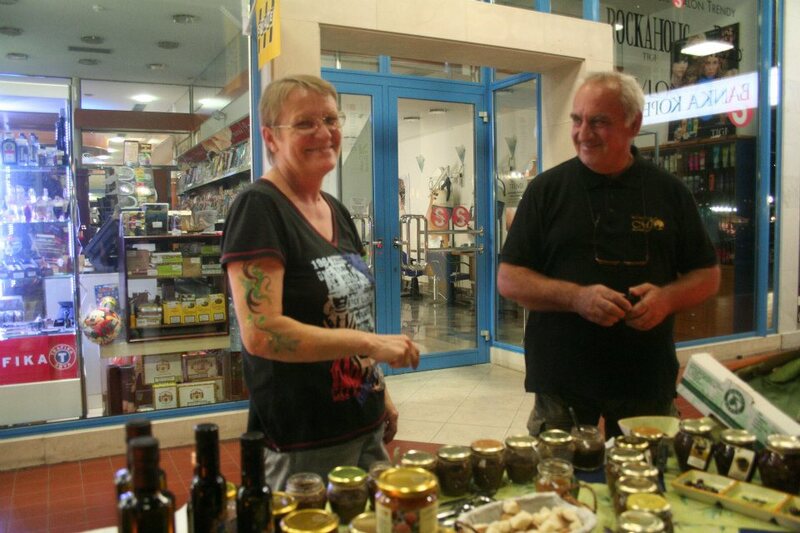 Those are the basic products from which we also make then: olive spreads – basic and with various additions (garlic, parsley, sage and others), pickled olives (in salted water or olive oil) and home made chocolate with olives. Besides those products our homestead also makes other products that we like to call them our own like persimmon, kiwi, figs and grape (izabela) marmalade. We also have a small amount of home made wine vinegar.